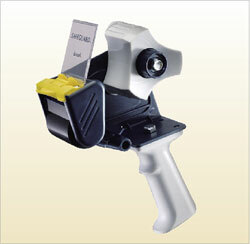 The standard carton sealing tape hand held dispenser is made to hold 3" core only. It can be used to hold tape up to 2" wide. It has a side loader with adjustable brake.